By now, if you have read my last two newsletters, you are pretty familiar with NESAW, at least their nine month professional program. 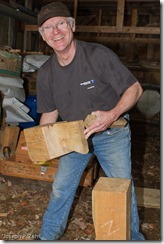 But if you are an adult hobbyist or weekend woodworker, or a young woodworker wanna be, NESAW has an offering for you. Parents, nothing can be more rewarding for a child than to learn a craft like woodworking. Completing a woodworking project gives a child a sense of accomplishment and pride. Check out the Kid’s Classes. 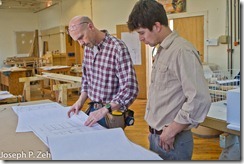 NESAW also offers a number of summer intensives that can be found on their calendar at http://www.nesaw.com/calendar/. SketchUp is used in many fields of woodworking. 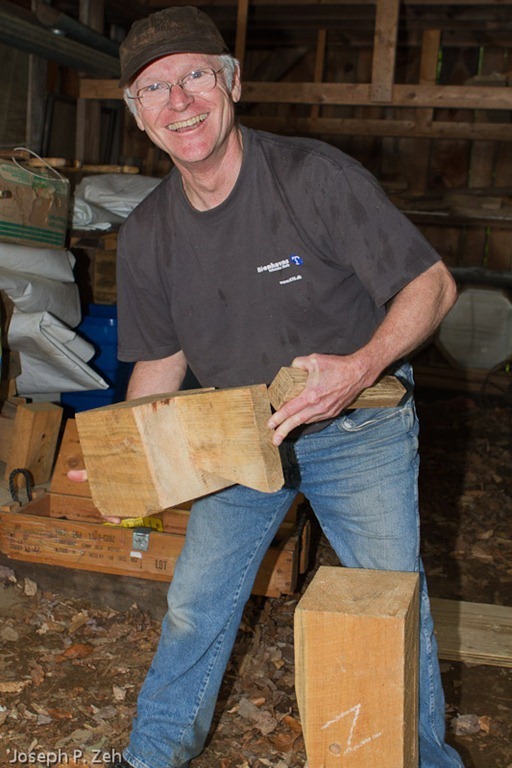 The Heartwood School, which I wrote about in the 6-27-2011 newsletter issue, teaches timber framing for the professional and hobbyist. 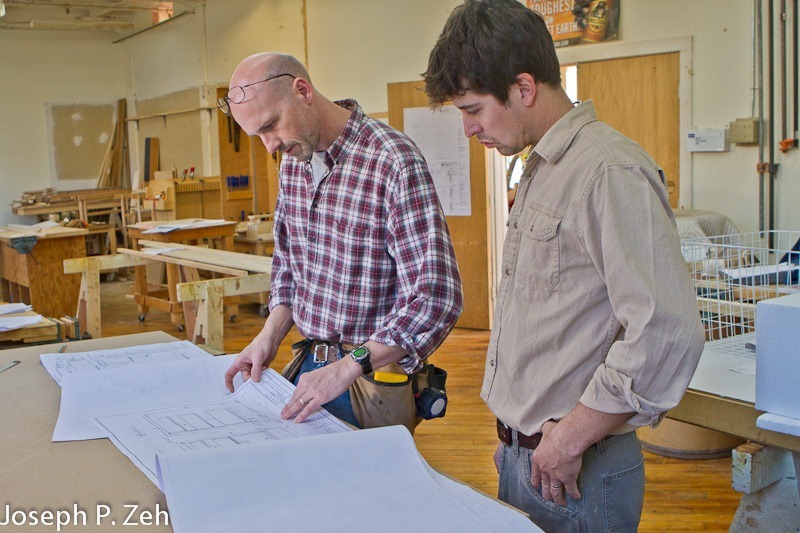 As part of their course offerings they have a SketchUp for Timber Framers 3-day course. It runs from April 26-28 of this year. You can find details on it and other courses at www.heartwoodschool.com. 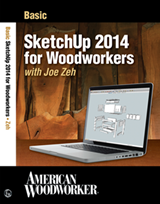 I teach SketchUp in a number of the local colleges and woodworking schools. If you live in the area, plan to vacation in the area or would like to stay in the area for a class, check out my schedule below. Anyone who wishes to visit the area for a class, or for any reason, contact me and I can help you make arrangements at very reasonable rates. Berkshire Community College, Pittsfield, MA – Saturday May 12th & Saturday May 19th, 2012 from 9am to 5pm. Contact Linda Pierce at (413) 236-2122. 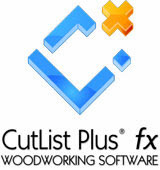 Offered by the Connecticut Valley School of Woodworking, this is an intermediate course in Google SketchUp. 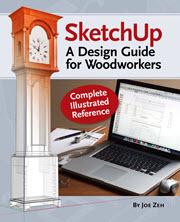 The beginner’s course, A Beginners Guide to Using SketchUp in Woodworking, is recommended prior to taking this course. The free version of SketchUp will be used primarily, but the students will be exposed to the Pro version also. The focus of this course is modeling non-linear components; i.e. components with circular and complex shapes. The format of the two day workshop is six sessions, each session a one hour lecture followed by a one hour lab. Students should bring a laptop (notebook) to class with SketchUp 8 already installed. Session 1 will begin with an arched rail for a clock door, the arch being a simple circular curve. Each session will progress to more complex shapes. Session 5 will focus on modeling cabriole legs using Bezier Spline curves. Each session will include an introduction to new tools – including a few Ruby script extensions to SketchUp – necessary to create these ever increasing complex shapes. Finally, Session 6 will introduce the Pro version of SketchUp. The instructor will detail the differences in the free and Pro versions and even demonstrate a few of the new tools in SketchUp Pro 8. In addition, the student will be introduced to LayOut 3, a 2D presentation application that comes with the Pro License. Students will be shown how LayOut 3 can be used to create professional looking shop drawings and marketing materials. If you have any questions please contact the school’s director, Bob Van Dyke at (860) 647-0303.